In light of recent events like the Paris terrorist attacks and the Syrian refugee crisis, American attitudes about issues of interfaith diversity have become increasingly polarized along partisan political lines (Pew Forum, 2015). Religion scholar Peter Berger (2015) notes that the political controversy about whether to extend the civic religious ideal of “Judeo-Christianity” to include the Muslim faith is rapidly becoming a flashpoint for this partisan debate, as are recent increases in anti-Muslim polemics. Clearly, Americans do not speak with one voice about how different faiths can or should relate to one another and understand one another. Why are religious differences so intractable, given the American ideal of civic pluralism? Devotees of the New Atheist movement, such as Richard Dawkins (2008) and Daniel Dennett (1995), suggest one possible reason: while science has a process for achieving convergent and consensual answers to questions, religion generally does not. In consequence, different faith traditions often view one another with skepticism, even when seeking to be ecumenical. There is another possible answer, one implicit in Jung’s psychology: that such differences correspond in part to differences in type or mode of consciousness. Jung’s system of typology might well help us break this ideological deadlock in our all too polarized culture as well. Many psychohistorians view Jung as having been centrally interested in this question, seeking a middle ground or synthesis between traditional religious perspectives on the one hand and reductionistic secularism on the other. Even though Jung himself was not a traditional religious believer (Faucett & Faucett, 1987), and likely viewed God in terms that are markedly at odds with classical theism, he was one of a select few mainstream psychologists in the first half century of the field’s history (along with William James, Gordon Allport, and Viktor Frankl) who treated religion seriously and favorably. As a result, it is not all that surprising that many approach Jung’s ideas from a religious perspective or seek to integrate his typology with such frameworks. Of course, type alone cannot eliminate all causes of ideological polarization. Chamberlain (2011) reminds us that so-called “binary opposition” has always been part of human cognition. Our search for community and commonality leads us to “define and identify other people as either inside or outside our groups. Those inside are friends and comrades with whom we have deep commonalities. All others are enemies, or at least outsiders” (p. 69). While type can be a partial antidote to this hard-wired human tendency, it cannot entirely alleviate it. Indeed, some even abuse type as a way to draw lines between insiders and outsiders. But type theory can certainly help bridge the polarities. Philosophers, theologians, and scientists have long sought to address a fundamental paradox. On the one hand, it is natural and normal to assert that one’s own religious beliefs are correct. On the other hand, basic respect for the humanity and dignity of others demands that we also assert the natural and normal right of others to hold their own differing views. All religions share this essential paradox. It reflects the same dilemma that we all have about our own psychological type versus other types, and may even stem from the innate polarities of the mind itself. Leonardo De Chirico (1998) identified a fundamental distinction between what he called et-et (“both-and”) and aut-aut (“either-or”) approaches. As he put it, from the et-et perspective, “maintaining something does not necessarily mean negating something else; on the contrary two contrasting perspectives may bring different light to the same truth, the comprehensive truth.” In contrast, the aut-aut point of view emphasizes “the necessity to make fundamental choices involving not only the affirmation of the truth but also the rejection of what [is] perceived as incompatible” with it. From this perspective, each religion often seeks to view other faiths through the lens of its own perspective even when seeking to be maximally inclusive (Anderson, 1970; Kraemer, 1962; Lippman, 1990). This difficult balance between inclusivism and exclusivism can be very challenging to maintain. From a philosophical perspective, many analytic philosophers, including such luminaries as Alvin Plantinga (2000), John Hick (2010), and Thomas Talbott (2014), have sought to address the question of religious pluralism epistemologically. One such philosopher is William Alston (1991), whose main interest is seeking to defend, using the tools of analytic philosophy, his belief that subjective religious experience is just as reliable a gateway to truth as is ordinary sense perception. Alston devotes one chapter of his book to the problem of religious pluralism. How is it possible, he asks, for different faiths that are all rooted in what (from one point of view) are identical or at least analogous experiences, to make logically incompatible interpretations of those experiences? Each faith system seeks to justify its own framework, but since all such arguments are partially (not totally) circular, the analytic philosopher has no basis by which one of them can be preferred to the others as long as all of them make equally coherent and comprehensive claims about ultimacy, truth, and value. Hence, he argues, each of them has to be viewed as legitimate within its own framework (though that framework may not seem compelling to outsiders), even though logically they cannot all be correct due to the law of noncontradiction (they make mutually incompatible assertions). As a Christian, Alston naturally prefers his own faith framework but argues that any such decisions must be made in some non-philosophical, though hopefully also non-arbitrary, manner. In these and various other instances, it is common for the various faiths to navigate a delicate balance between inclusivism and exclusivism: seeking at least a partial way to affirm other faiths while yet establishing a central role for their own perspective. Interfaith scholar Bruce Feiler (2004) speculates, using the terms “egalitarianism” versus “triumphalism,” that “the percentage of believers who would agree to the principle of spiritual parity between the faiths probably totals around two-thirds of Jews, half of Christians, and a third of Muslims” (p. 202). Most faiths today assert only a conceptual or theological (eschatological) triumphalism; in the interim (during the unfolding of normal history), a tolerant and mutually respectful co-existence is usually the norm, though not always without outbreaks of conflict. However, this attitude may in part be an artifact of Western ways of thinking and may not carry much weight outside of cultures dominated by those perspectives. Whatever the case, this is exactly the kind of conundrum that personality type addresses so well. Psychologists over the decades have struggled to define the words “religion” and “spirituality,” sometimes contrasting them even though a majority of Americans until recent years (Taylor, 2014) have defined themselves as both religious and spiritual. By one common though problematic standard (Zinnbauer and Pargament, 2005), “religion” refers to institutional or organizational expressions of ultimate values that emphasize (to varying degrees) uniformity of doctrine or practice, while “spirituality” refers to the individual (and sometimes idiosyncratic) expression of matters of ultimate, transcendent concern to a given person. Kushner (2003) reminds us that the root of the word “religion” is a Latin term meaning “to bind together” (in community), while spirituality may or may not involve a consensual, communal element. This article will primarily focus on religion as defined in this paragraph, though not to the exclusion of spiritual expressions of other sorts. Nobel laureate Daniel Kahneman (2011) notes that humans are prone to think differently about the physical and mental worlds. A common distinction in social psychology is the contrast between “causes” and “reasons.” As used in this framework, “causes” are mechanistic, bottom-up processes that are amenable to scientific inquiry, and which may be seen as deterministic in nature. In contrast, “reasons” are teleological purposes that have their root in the freely chosen intent of an entity, and as such are top-down in nature (not predetermined by antecedent conditions). The main point is that both causes and reasons can be seen as operating simultaneously at different levels: the movement of my fingers can be explained in terms of chemical processes in my neurons, but also in terms of my desire to complete this paragraph and to make a valued point in so doing. However, since (in whatever sense) humans are comprised of both bodies and minds, how one thinks about human beings at any given time may depend on whether one is focused on causes or reasons. Only in rare instances (as, for instance, in legal disputes about diminished capacity, the “not guilty by reason of insanity” defense) do the two frames come into direct and explicit conflict. Numerous empirical studies have examined the differing type distributions of differing religious groups. I was able to identify twenty-four such studies, including eight samples of clergy and other religious professionals (Greenfield, 1969; Ruppart, 1985; Mcdaid et al., 1991; Oswald & Kroeger, 1988; Francis et al., 2001; Francis et al., 2007); eight samples of students at religiously-based colleges (Harmon, 1982; Myers & McCaulley, 1985; Childerston, 1985; Francis et al., 2001); and eight samples of congregants (Gerhardt, 1983; Delis-Bulhoes, 1990; Ross, 1993; Bramer, 1995; Ross, 1995; Rehak, 1998; Francis et al., 2007). From these, I was able to complete a meta-analysis with a total composite sample size of 13,627 individuals who are affiliated with organized religions. Self-selection ratios (McCaulley, 1985) were recomputed from the original data in each study to ensure direct comparability. Self-selection ratios greater than 1.00 indicate an overrepresentation of a given type in a particular population relative to expected base rates, while ratios less than 1.00 indicate an underrepresentation of that type. Utilizing an unweighted average method, self-selection ratios greater than 1.00 were obtained for Feeling (1.15), Introversion (1.10), Judging (1.07), and Intuition (1.02). The so-called composite self-selection zone (McCaulley, 1985) was comprised of the four IF types, the two EFJ types, plus ISTJ. Overrepresented preference combination groups were FJ (1.30), IF (1.25), IJ (1.22), NJ (1.19), NF (1.18), SF (1.12), IN (1.10), IS (1.10), EF (1.06), and SJ (1.03). Dominant Feeling types were also overrepresented (1.22), as were dominant Sensors (1.05) and dominant Intuitives (1.04), while dominant Thinkers (0.73) were underrepresented. In terms of the Keirsey temperaments, the SSR rank ordering was NF (1.18), SJ (1.03), SP (0.87), and NT (0.76). These results fit theoretical expectations well, despite the fact that the compositing of the various samples led, unsurprisingly, to relatively small SSR values. Overall, the most overrepresented type was INFJ (1.68), followed by ENFJ (1.33) and ISFJ (1.33); the most underrepresented types were ENTP (0.59), ESTP (0.67), ESTJ (0.68), and INTP (0.69). Religious forms of spirituality clearly seem to attract some types more than others. Of more difficulty are attempts to make typological distinctions between contrasting groups, such as religious conservatives versus liberals. In my meta-analysis of nine studies (Carskadon, 1981; Gerhardt, 1983; Delis-Bulhoes, 1990; Ross, 1993; Bramer, 1995; Ross, 1995; Rehak, 1998; Francis et al., 2004; Francis et al., 2007), the main finding was that conservative groups tend to have more Sensing types (particularly SJs and perhaps SFJs), while liberal groups tend to have more Intuitive types (with some tendency to favor NF over NT, there being some evidence that religious skeptics are disproportionately NT). Specifically, using a weighted average approach to combine results from different studies, my analysis showed that more conservative groups had fewer Intuitives than the general population (evangelicals, 23%; Catholics, 38%), while more liberal groups had more Intuitives than the population as a whole (mainline Protestants, 54%; Unitarians and the religiously unaffiliated, 78%). In these samples, NFs are the most religious overall; NTs are generally averse to conservative religion; SJs are generally drawn to conservative religion; and SPs show the least religious propensity overall. With the advance of brain imaging techniques in the field of neuropsychology, there has been increasing interest in the study of neurological underpinnings of religious, spiritual, and mystical experiences or RSMEs (Newberg & Newberg, 2005). Some of the studies in this area have been highly polemic and controversial, such as those involving the so-called “God helmet” (Persinger & Healey, 2002). Others have been more straightforward and nuanced (Beauregard & Paquette, 2006). At issue is the relationship between RSMEs and integrative consciousness, fueled by an underlying philosophic debate between reductionistic and nonreductionistic views of the nature of consciousness itself (Beauregard & O’Leary, 2007). Scant attention has been paid thus far to the relationship between type and this nexus of constructs, though there is preliminary evidence linking type differences to observable differences in evoked brain potentials (Murphy & Alcock, 1999). However, a fascinating study by Dendinger (1984) examines the relationship between type differences and the frequency of mystical (as opposed to conventional) religious experiences. The author of this study hypothesizes that Sensing and Thinking inhibit mystical experience, while Intuition and Feeling promote it. In support of this idea, she favorably quotes William James’ (1902) contrast between rationalism and mysticism, and his corresponding argument that because rationalism is based on observable facts (Sensing) and inductive inference (Thinking), its intellectual supremacy is challenged by mystical consciousness and its emphasis on the ineffable (Intuition) and values-based deduction (Feeling). In sum, these results have many significant implications for interfaith understanding. The inability of different groups to understand one another may be driven as much by typological as by doctrinal differences. The following section explores possibilities for using type to build bridges between persons of different faiths or none. The essence of Intuition is openness, both to intangible inputs (which could include an interest in spiritual realities and ideas) and to alternative ways of looking at situations, perhaps without notable regard for how these different alternatives might be formally aligned or integrated. The latter tendency suggests De Chirico’s et-et perspective. My own research (Embree, 2008) shows a significant inverse relationship between openness to values and traditional religiosity. Regardless of these differences, all Intuitive types should show more willingness than other types to consider the divergent, et-et point of view, and for some it may be difficult to give credence to the alternate aut-aut model. Indeed, the unfortunate tendency of the popular media to assign pejorative labels like “fundamentalist” to a wide swath of conservative or traditional religionists (most of whom do not at all meet formal criteria that would justify such labels) likely reflects the difficulty that et-et individuals have in seeing legitimacy in the alternative aut-aut perspective. Scanlon (1995) writes movingly of this problem, suggesting (using a different set of terms than does De Chirico) that the divide between the et-et and the aut-aut mindsets may be the most intractable of all human ideological differences. The Sensing focus on tangible, concrete, experiential or observable realities may dispose some Sensing types away from religiosity, since religion involves assertions about the supraempirical world. Yet tangible expressions of religious values (walking the talk, living out one’s faith, making a tangible difference in the lives of suffering others) are a common theme in all the Abrahamic faiths: “if you know these things, blessed are you if you do them” (not just think about them). Grant et al. (1983) link Sensing with the virtue of “simplicity,” meaning a focus on doing good in the moment rather than worrying about the “grand design” behind things. The emphasis on good deeds or “corporal works of mercy” is highly consistent with this set of ideas. In one anecdotal study (Hirsh & Kise, 2006), many Sensing types mentioned “feeling closer to God in the natural world than in a church,” and expressed discomfort with the highly word-driven, conceptual-theoretical nature of many religious institutions (or at least of their leaders). Yet, as noted in the literature review, most religious groups show larger numbers of Sensing than Intuitive types (relative to overall population base rates), with the exception of the most liberal or progressive faith communities. This may be due to the Sensing valuation of tradition (including religious traditions within the culture). Or it may suggest the Sensing love of ritual, which is both predictable and tangible. De Bono (1991) notes that religions like Catholicism and Islam that place a significant emphasis on ritual elements (such as liturgical or formal prayer) are “more likely to succeed” in the marketplace of ideas and ideologies (though one could certainly question this assertion, and it should be noted that in the type distribution tables I analyzed, more liturgical faiths were not noticeably more dominated by Sensing types than more spontaneous faiths). It would be useful for Intuitive types (especially if Intuition is dominant) to remember that other types may find it much more difficult to remain open to widely divergent ideas, especially those that contradict deeply held individual or collective values. This should not be viewed as a moral or intellectual flaw on the part of these other types, as they are simply being true to their own typological framework. Conversely, it would be useful for Sensing types (especially if Sensing is dominant) to remember that other types may find it much more difficult to accept traditional ways and ideas without questioning, challenging, or seeking to modify them. It is not a moral failing when these types sometimes find confining what Sensors may find stabilizing. The distinction between “causes” and “reasons” is relevant to the hypothesis that Thinking types are more prone to focus on causes (as defined above), while Feeling types are more likely to emphasize reasons (as defined above). Since the empirical examination of causes is the essence of empirical science, it is not surprising that Thinkers are more drawn to scientific ways of understanding (sometimes going beyond the bounds of science proper to assert that such causes are all that exist). Since the narrative search for reasons is the essence of theology, it is not surprising that Feeling types are more drawn to religious ways of understanding (sometimes going beyond the bounds of theology to pass judgment on matters that are more properly the domain of scientific inquiry). A typologically balanced stance is perhaps the assertion that both causes and reasons are both valid starting points, but that all of us are inherently drawn more to one than to the other. As a result of these differing emphases, type theory might suggest, and some studies (e.g., Carskadon, 1981) generally confirm, that “skeptical” (atheistic, agnostic, or irreligious) groups are disproportionately dominated by Thinking (perhaps especially Intuitive-Thinking) types. While the Thinking preference can find a religious expression in concerns with formal, analytic or systematic theology (Thomas Aquinas was almost certainly a classic INTP type, for instance), one might expect more skepticism about religious assertions from Thinking types. Although Daniel Kahneman (2011) argues in his work that “it is easy to believe and difficult to doubt” (on the grounds that doubting is a more effortful activity), this may not be a typologically balanced assertion. Future studies may indeed suggest that Thinkers more naturally adopt what De Bono (1991) calls “the habit of twin hypotheses,” balancing an original assumption against a contrary and competing mental framework and deliberately seeking simultaneous evidence in favor of both. Feeling types, in contrast, may focus on reasons, which are often embedded in a narrative context. Brody (1994), a practitioner of narrative psychology, emphasizes the importance of our personal stories as central to defining who we are (see also Sacks, 2006). A person with a “broken” or missing story usually finds it difficult to maintain any coherent or useful sense of personal identity. Since most religions embed their doctrines and moral principles within a core narrative structure (a “metanarrative” or “superstory”), Feeling types—who are naturally drawn to narrative understandings of the world—may be strongly attracted to these ways of approaching life and the human condition. The tendency in western culture for science and religion to be at odds, although this is only one of several models of the relationship between the two (Barbour, 1990), may stem from or be mapped onto the Thinking-Feeling polarity. Feeling types are likely more inclined to evaluate based on reasons than to analyze to identify causes, and thus to understand the world teleologically rather than mechanistically. This is consonant with most forms of religious faith, at least in Eurocentric cultures. In addition, the presumed tendency (Mann et al., 1968) to honor and value the past may predispose those with a preference for Feeling to communal or tradition-valuing forms of faith, though some disagree (Harrison & Lawrence, 1985). Those with each preference need to find ways to honor the other. It would be useful for Thinking types (especially if Thinking is dominant) to remember that other types may find it much more difficult to argue for or explicate their faith in linear, logic-driven, and internally consistent or coherent ways. Since the fundamental role of Thinking is to rule out ideas that are incompatible with evidence, it may be difficult for Thinking types to recognize that Feeling types may rule out ideas incompatible with their values. Conversely, it would be useful for Feeling types (especially if Feeling is dominant) to remember that other types may find it much more difficult to respect ideas that are not amenable to scientific or empirical verification, and may not naturally privilege narrative over evidence, teleology over mechanism, reasons over causes. The tendency for Thinking types to see Feeling types as intellectually flawed is matched by the tendency for Feeling types to see Thinking types as emotionally challenged. The preceding analyses have looked at individual type preferences (S-N or T-F) in isolation, but of course, in real persons they never operate in that isolated manner. The dominant and auxiliary functions (as well as other, less well differentiated functions) are always interacting, and it is in the “messy complexity” (Pearman & Albritton, 2010) of that interaction that type manifests itself in the real world. Since Perceiving functions are inherently divergent, while Judging functions are essentially convergent, all types should experience a conflict between these two tendencies even though the auxiliary function is portrayed in much of the type literature as a “benign helper” or assistant that helps to carry out the agenda and purposes of the dominant. This “captain and first mate” model (Myers, 1993) has become standard in many segments of the type community but is likely an oversimplification, since the agenda of dominant and auxiliary can at times be at cross purposes. While theory says that the dominant function has an absolute “veto power” over the auxiliary, in practice this may not always be correct, especially since fatigue or stress draws energy away primarily from the dominant (Quenk, 2002). Even at more normal times, the integrity of the personality and of one’s type (which derives from the interplay among the functions) requires that the voice of the auxiliary be heard and taken seriously, so most persons should experience some degree of tension between the divergent and convergent tendencies outlined above. Three specific examples of this tension are offered below by way of illustration. All these examples explicitly or (in the first instance) implicitly involve religious values. Benedict is widely regarded as the pioneer of the study of cultural integration within anthropology. Her seminal work Patterns of Culture (1934), which offers a detailed exposition of three different cultures (Zuñi, Kwakiutl, Dobu), makes a strong case for cultural relativism. At the end of her work, she argues in favor of the notion that “we shall arrive then at a more realistic social faith, accepting as grounds of hope and as new bases for tolerance the coexisting and equally valid patterns of life which mankind has created for itself from the raw materials of existence” (p. 240). Yet, this seemingly unambiguous commitment to cultural relativism, with its refusal to regard any set of cultural values and practices as more inherently virtuous or reasonable than any other, may have only been half of the coin. Barnouw (1973), in his analysis of Benedict’s thought, argues that she belied in practice what she so forcefully articulated in theory. At heart, he argues, she was a social reformer who was scandalized by the rise of authoritarianism in her day, and who sought strenuously to mitigate its influence. As a result, she acted in ways that were in rather direct conflict to her own theoretical ideas, since a pure cultural relativist would have found no grounds to prefer American democracy to Nazi fascism. Typologically, this can be viewed as a deep-structural internal conflict between her (presumed) Intuitive commitment to pluralism and relativism and her Judging commitment to a particular set of moral and ethical values. If Barnouw is right, she did not so much resolve this conflict as compartmentalize these two concerns, expressing one verbally and intellectually, the other pragmatically and politically. Indeed, it may be common for people to resolve internal type conflicts in a similar fashion, for instance, expressing a “live and let live” orientation toward others’ values and life choices, but a rigid internal moral code that is applied towards one’s own behaviors and decisions. This may set up an intriguing role conflict for chaplains. 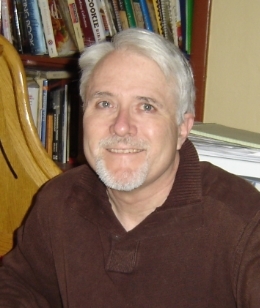 The researchers discovered that two strategies often adopted by chaplains are “neutralizing” (emphasizing similarities and minimizing differences among the various faith or nonfaith traditions) and “code switching” (seeking, when possible, to use the language of the patient’s own tradition even if it differs from the chaplain’s own “home” tradition). While most chaplains in the study expressed a high level of comfort with these strategies, they also expressed some degree of role conflict since these strategies could be interpreted as a lack of faithfulness to their own tradition. Those from a more liberal or progressive tradition seemed more comfortable overall with these strategies, suggesting the link between the et-et approach and a preference for Intuition. However, most chaplains navigated a challenging balance between convergence (affirming their own faith tradition) and divergence (reaching out to patients from other traditions as respected equals whose own “voice” was to be given precedence). In a fascinating study of adolescent religiosity, Pearce et al. (2013) use the statistical technique of “latent class analysis” to delineate five distinct groups, which they style the “five As” (abiders, adapters, assenters, avoiders, and atheists). Of these, the “adapter” group (which comprised 19% of the total research sample) are most illustrative of the concept of type preference conflict. Though these authors do not write from a typological framework, their description of the adapter group sounds much as if it might be dominated by Intuitive subjects. On the one hand, these individuals show a high level of religiosity and a strong tendency to define themselves in terms of a conventional religious label. They believe in God and in the afterlife (though with less certainty than the most conventional religious group, the abiders) and generally describe God as highly involved in their day-to-day lives. They pray regularly and show other signs of a robust private spirituality. Yet, they are much less likely than the abiders to agree with the notion that there is a single true religion. They are the most likely of all the five groups to regularly ponder the meaning of life (suggesting that they may not have converged on a single set of answers to such questions). All this suggests a conflict between the convergent (Judging function) and divergent (Perceiving function, which is likely Intuition) elements of their personality. They manage this conflict by retaining a significant connection to a specific faith community but by emphasizing individual over collective forms of religious expression and by adopting a more tolerant, et-et response to the different faith traditions. The above examples illustrate both the predictive power of type and its inherent complexity. Clearly, people of different types are prone to think about religion and spirituality in different ways. While type obviously does not determine a person’s religious beliefs—a host of other factors come into play, including cultural, familial, experiential, and more—type is a lens through which one views the world of religion and spirituality, and as a result, contentious religious differences are often, in part, typological differences in disguise. This realization can promote greater levels of tolerance, empathy, and understanding among individuals of differing faiths or none. Communication always involves an unknown degree of unconscious projection (Pearman & Albritton, 2010), so it is difficult for any of us to avoid our typological biases, even when we bring a significant degree of good will to the project. Not surprisingly, Feeling types bristle when accused of irrationality, or Thinking types of a lack of caring, or Sensing types of a wooden literalism, or Intuitive types of deficient realism. Even if these criticisms sometimes contain a small element of truth, they fail to consider that any person who is making a serious attempt to utilize a less-than-well differentiated function will struggle, and may be able to do no more than mimic or emulate the outward behavior of a type that is more competent in that area. Since issues of religion and spirituality are targets for ideological polarization in the America of the 21st century, it can be difficult to view another’s perspective with equanimity and balance. Not too long ago, one website devoted to interfaith understanding challenged readers to engage in an “ideological Turing test;” the test challenged respondents to portray a faith or nonfaith perspective other than their own in a manner compelling enough to fool naïve reviewers into thinking the expressed posture was really their own. This is astonishingly difficult to do; most of us, without realizing, mentally compare an adult version of our own views with a childlike version of our opponent’s. In so doing, we fail to realize that there is a dialectic relationship between seemingly opposed points of view (Barber, 1995). We truly do need one another to be whole and complete. To the extent that type can foster understanding of the symmetry between these opposing views, it may provide a useful framework for building bridges of understanding between persons of differing faiths. It is neither necessary nor reasonable to expect that members of different faith communities abandon their doctrinal specifics, including claims involving exclusivity or triumphalism. Indeed, in my experience, when focused on such matters, it is natural to emphasize the importance of non-negotiable differences and distinctions. But when speaking “from the heart” to members of other faiths, one often finds a remarkable common ground and an irenic, welcoming spirit. The different faith communities neither can nor should abandon their non-negotiable core commitments, yet can open their hearts to individuals of other faiths or none and often recognize in them a kindred spirit and a common humanity. Abdul-Haqq, A. A. (1980). Sharing your faith with a Muslim. Minneapolis, MN: Bethany Fellowship. Alston, W. (1991). Perceiving God: The epistemology of religious experience. Ithaca, NY: Cornell University Press. Anderson, J. N. D. (1970). Christianity and comparative religion. Downers Grove, IL: Inter-Varsity Press. Barber, B. R. (1995). Jihad vs. McWorld. New York, NY: Times Books. Barbour, I. (1990). Religion in an age of science. San Francisco, CA: Harper and Row. Barnouw, V. (1973). Culture and personality. Homewood, IL: Dorsey Press. Beauregard, M., & O’Leary, D. (2007). The spiritual brain: A neuroscientist’s case for the existence of the soul. New York, NY: Harper One. Beauregard, M., & Paquette, V. (2006). Neural correlates of a mystical experience in Carmelite nuns. Neuroscience Letters, 405, 186-190. Benedict, R. (1934). Patterns of culture. Boston, MA: Houghton Mifflin. Brody, H. (1994). My story is broken; can you help me fix it? Literature and Medicine, 13(1), 79-92. Cadge, W., & Sigelow, E. (2013). Negotiating religious differences: The strategies of interfaith chaplains in healthcare. Journal of the Scientific Study of Religion, 52(1), 146-158. Carskadon, T.G. (1981). Psychological type and religious preferences. Research in Psychological Type, 4, 73-78. Childerston, J. K. (1985). Understanding religious “fundamentalists”: A study of typology and moral judgment. Doctoral dissertation, Fuller Theological Seminary (Graduate School of Psychology). Corr, C. A., & Corr, D. M. (2013). Death and dying, life and living. New York, NY: Wadsworth. Dawkins, R. (2008). The God delusion. Boston, MA: Houghton Mifflin Co.
De Bono, E. (1991). Six action shoes. New York, NY: Harper Business. Delis-Bulhoes, V. (1990). Jungian psychological types and Christian belief in active church members. Journal of Psychological Type, 20, 25-33. Dendinger, V. K. (1984). Religious mystical experience: A comparison of frequency of occurrence among intuitive feelers and non-intuitive feelers. Doctoral dissertation, United States International University. Dennett, D. C. (1995). Darwin’s dangerous idea: Evolution and the meanings of life. New York, NY: Simon and Schuster. Embree, M.C. (2008). Personality diversity and belief in God. Unpublished manuscript. Faucett, R. J., & Faucett, C. A. (1987). Personality and spiritual freedom: Growing in the Christian life through understanding personality type and the Myers-Briggs Type Indicator. New York, NY: Doubleday Image Books. Feiler, B. (2004). Abraham: A journey to the heart of three faiths. New York, NY: Perennial Books. Francis, L. J., Butler, A., Jones, S.H., & Craig, C. L. (2007). Type patterns among active members of the Anglican Church: A perspective from England. Mental Health, Religion and Culture, 10(5), 435-443. Francis, L. J., Duncan, B,, Craig, C.I., & Luffman, G. (2004). Type patterns among Anglican congregants in England. Journal of Adult Theological Education, 1(1), 65-77. Francis, L.J. ; Payne, V.J. ; and Jones, S.H. (2001). Psychological types of male Anglican clergy in Wales. Journal of Psychological Type, 56, 19-23. Gerhardt, R. (1983). Liberal religion and personality type. Research in Psychological Type, 6, 47-53. Grant, H. W., Thompson, M., & Clarke, T. E. (1983). From image to likeness: A Jungian path in the gospel journey. New York, NY: Paulist Press. Greeley, A. (1974). Ecstasy: A way of knowing. Englewood Cliffs, NJ: Prentice-Hall, Inc.
Greenfield, M. (1969). The typologies of pulpit and nonpulpit rabbis. Doctoral dissertation: Rutgers State University. Harmon, R. L. (1982). An investigation of the use of Jungian psychological traits, career interests, and ACT scores in determining student compatibility with a small, church-related college. Doctoral dissertation, Texas Tech University. Harrison, D. F., & Lawrence, G. (1985). Psychological type and time orientation: Do middle-school students differ in projecting their personal futures? Journal of Psychological Type, 9, 10-15. Hick, J. (2010). Between faith and doubt: Dialogues on religion and reason. New York, NY: Palmgrave Macmillan. Hirsh, S. K., & Kise, J. A. G. (2006). Looking at type and spirituality. Gainesville, FL: Center for Applications of Psychological Type. James, W. (1902/1994). The varieties of religious experience. New York, NY: Modern Library. Kahneman, D. (2011). Thinking, fast and slow. New York, NY: Farrar, Strauss and Garoux. Kraemer, H. (1962). Why Christianity of all religions? Philadelphia, PA: Westminster Press. Kushner, H. S. (2003). The Lord is my shepherd. New York, NY: Alfred A. Knopf. Lewis, C. S. (1979). God in the dock: Essays on theology. Edited by Martin Hooper. London, UK: Collins Publications. Lippmann, T. W. (1990). Understanding Islam. New York, NY: Mentor Books. Mann, H., Siegler, M., & Osmond, H. (1968). The many worlds of time. Journal of Analytical Psychology, 13, 33-56. Macdaid, G. P., McCaulley, M. H. & Kainz, R. I. (1991). Atlas of type tables. Gainesville, FL: Center for Applications of Psychological Type. McCaulley, M. H. (1985). The Self-Selection Ratio Type Table: A research strategy for comparing type distributions. Journal of Psychological Type, 10, 46-56. Murphy, E. A., & Alcock, M. W. (1999). Researching connections between developing personality preferences and electrophysiological brain patterns. Proceedings of APT-XIII, the Thirteenth Biennial International Conference of the Association for Psychological Type (pp. 311-312). Scottsdale, AZ. Myers, I. B. (1993). Gifts differing: Understanding personality type (revised ed.) Palo Alto, CA: Consulting Psychologists Press. Myers, I. B., & McCaulley, M.H. (1985). MBTI® Manual: A guide to the development and use of the Myers-Briggs Type Indicator®. Palo Alto, CA: Consulting Psychologists Press. Newberg, A. B., & Newberg, S. K. (2005). The neuropsychology of religious and spiritual experience. In Paloutzian, R. F., & Park, C. L. (Eds.). Handbook of the psychology of religion and spirituality. New York, NY: The Guilford Press. Oswald, R.M., & Kroeger, O. (1988). Personality type and religious leadership. New York, NY: The Alban Institute. Pearce, L. D., Hardie, J. H., & Foster, E.M. (2013). A person-centered examination of adolescent religiosity using latent class analysis. Journal of the Scientific Study of Religion, 52(1), 57-79. Pearman, R. R., & Albritton, S. C. (2010). I’m not crazy—I’m just not you. Boston, MA: Nicholas Brealey Publishing. Persinger, M. A., & Healey, F. (2002). Experimental facilitation of the sensed presence: Possible intercalation between the hemispheres induced by complex magnetic fields. Journal of Nervous and Mental Disease, 150, 533-541. Plantinga, A. (2000). Warranted Christian belief. New York, NY: Oxford University Press. Pope Francis. (2016). The name of God is mercy. New York, NY: Random House. Quenk, N. (2002). Was that really me? Mountain View, CA: Davies Black. Rehak, M. C. (1998). Identifying the congregation’s corporate personality. Journal of Psychological Type, 44, 39-44. Ross, C. F. J. (1993). Type patterns among active members of the Anglican church: Comparisons with Catholics, evangelicals, and clergy. Journal of Psychological Type, 26, 28-36. Ross, C. F. J. (1995). Type patterns among Catholics: Four Anglophone congregations compared with Protestants, Francophone Catholics, and priests. Journal of Psychological Type, 33, 33-41. Ruppart, R. E. (1985). Psychological types and occupational preferences among religious professionals: A psychosocial, historical perspective. Doctoral dissertation, New York University. Sacks, O. (2006.) The man who mistook his wife for a hat. New York, NY: Simon and Schuster. Scanlon, S. (1995). Is it wrong, is it right, is it type? The Type Reporter (issue #85). Talbott, T. (2014). The inescapable love of God. Eugene, OR: Cascade Books. Taylor, P. (2014). The next America. New York, NY: Public Affairs. Thomas, L. E., & Cooper, P. E. (1980). Incidence and psychological correlates of intense spiritual experience. Journal of Transpersonal Psychology, 12(1), 75-85. Zinnbauer, B. J., & Pargament, K. I. (2005). Religiousness and spirituality. In R. F. Paloutzian & C.L. Park (Eds. ), Handbook of the psychology of religion and spirituality. New York, NY: The Guilford Press. 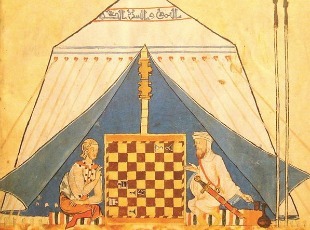 Anon., “Christian and Muslim Playing Chess,” (1251-1283), Libro de los juegos, Alphonse X le Sage. Photo by Stephen Dwyer. 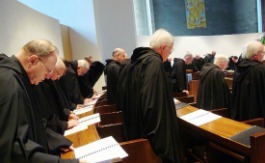 Roman Catholic monks of the Order of Saint Benedict singing Vespers at St. Mary’s Abbey in Morristown, New Jersey (2009). Photo by Jakub Michankow. 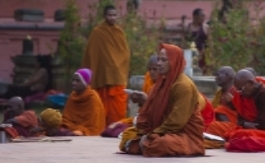 Buddhist man meditating in Bodhgaya, Bihar, India (2009). Photo by Antonion Melina. Muslims praying, Umayyad Mosque, Damascus (2003). Courtesy: Agência Brasil. Photo by Fulvio Spada. 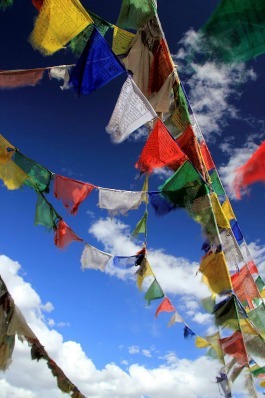 Prayer flags at Namka La (2013). Interesting article, with a more detailed study of the conclusion (that type may affect how people approach religion to create some of the apparently irreconcilable differences) that I would have wagered myself. Probably if one went in the direction of the eastern mystical traditions that Jung seemed to flirt with (while seeming to maintain some firm independence of) in his spirituality, this is even true from the very conceptual foundations. That is, these traditions maintain that one can simply not express a vision of the divine in a defined format, as any such format would likely appeal to different degrees to different forms of ego-consciousness (and thus to different kinds of psychological type, if one views type as ultimately typing the ego). At most one can give symbols and the like. I think Jung kind of had the idea of your article, in that his notion of ego-transcendence (and thus his version of the mystical traditions’ notion of God-realization) probably involved a reconciling of the opposites captured by type — in an effort to transcend the rigid definition of the ego which is necessary to maintain the notion of separateness. Interestingly, Jung seemed to have expressed that the eastern mystics were too “irrational” (in the sense of his irrational functions) for his own work on ego-transcendence, and complained about the idea of truly annihilating distinctions/differences, which are the foundation for existence of a differentiated ego (which to Jung it seems is essential for psychic life). When I considered this, I was struck by the fact that to my knowledge, various eastern mystics suggest that a sliver of ego remains even in the enlightened, but not a deluded one any longer — seemingly assuaging Jung’s problems. But, I would conjecture that maybe this sliver of ego operated in an extremely irrational (again, in Jung’s sense) way in these prophets. The reason being that I would wager the existence of such an ego could not possibly be reconciled with the kind of dissolution of differences those eastern mystics preach, which Jung seemed opposed to, unless it were oriented by the irrational factor to the highest degree possible. I am curious what others think about the limits within which type can serve as a bridge for understanding between people of differing faiths or none. Under what conditions can type help? Under what conditions will it not be a productive route for forging mutual respect? “The essence of dialogue is not that we relativize our convictions, but that we agree to accept one another as persons” (Visser t’Hoeft). If I may offer a contribution to this discussion and topic; it would be a question as well as a theory based on my decades of personal observation both inside and outside the ‘church’ construct. the question would be how you might see the role of temperament data determinant orientation – conclusions between the J’s and the P’s? My view is that regardless of sensory or intuitive ‘processing’ orientation, both the commonality and differentiation between individuals and organizations, including religious paradigms is less the area one might be inclined to look for data; but the destination or conclusion one arrives at – either reductive and definitive ‘J’ conclusions or broader and open ended ‘P’ determinations. I see indications of a greater J dominance in most religious constructs regardless of the N vs S and T vs F preferences or strengths. Though all certainly play a significant role; on the subject or inclusive vs exclusive tolerance considerations I would suggest the very nature of the J side of the temperament determination is the more likely drive-need fostering non-inclusion outside the defined structures, doctrines and definitions that J’s naturally seek in order to find stability and security in a world that lacks definition in their minds eye. Generally speaking, I have found both S-P’s and I-P’s far more accommodating and ‘open’ to variation of interpretation, customs and beliefs than their respective ‘J’ oriented counterparts. I would like to know your thoughts regarding S vs J orientations and their influence within this topic.